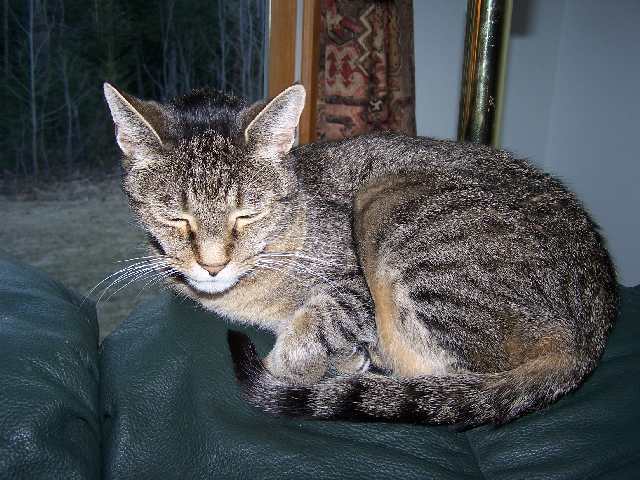 My constant companion, Patter, sleeps under a lamp on the back of the couch I'm usually using for knitting. He's getting older and almost never leaves my side. Most of my knitting has grey hair knit in. The Spring Forward cardigan is going well. With advice from the SF knit group, I made the increases for the left side today. This is a very easy pattern so no need for charts and graphs. 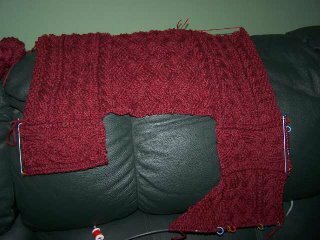 The yarn is Plymouth Galway Highland Heather on size 6 needles. Gauge is right on and I'll look forward to wearing a cardigan for a change. 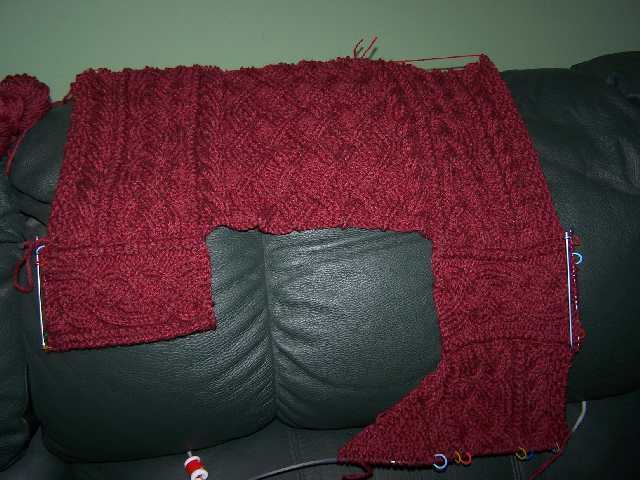 Might finish both these fronts to back length and then work the second sleeve on the FLAK knit along. So much to do - retirement is great! Anne, Patter is a cutie and so is your Spring Forward cardigan. I hope to start mine one day soon.